Spectacular beaches with fine white sand and turquoise waters stretch for 640 kilometers/400 miles. The Coast of Ceara divided by picturesque fishing villages, nestled between desert dunes that rise to 50 meters above the sea. 350 days of sunshine annually and a daytime temperature between 30 and 32 degrees Celsius (86-90 F) keeps the water temperature a comfortable 28 degrees Celsius (80 F). The Trade Winds supply a constant offshore sea breeze that makes it perfect for sunbathing or any beach activity. It is no secret why Brazilians with 7300 kilometers/4500 miles of coastline to choose from make Fortaleza Beaches their number one holiday destination. When family and friends visit us we take them up the coast by Land Rover. An experience of a lifetime! The joy and pleasure of sharing this incredible trip inspired us to build this site! 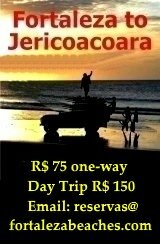 We are very familiar with the Coast of Ceara and fishing villages along the way. All that follows is based on what my family and I have learned by both living and traveling here along the Coast of Ceara. How do you pick one or two of the best beaches to spend your Holiday? Not an easy task. BUT we can help you decide based on what kind of activities you are interested in. Whether it is rest and relaxation, adventure or a combination of both. The Sunset Dune, one of the famous Jericoacoara Post Cards ! Be sure to bookmark us and join our mailing list to see all of the places we will be sharing with you and our other visitors. 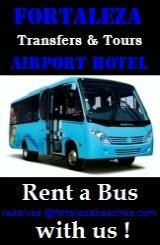 Including favorite beaches, hotels, pousadas, and restaurants. 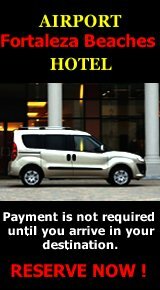 Tips on paying the local rates, getting around, and much more. Whether you are planning a trip in the near future or would just like to know more about living or traveling along the Coast of Ceara, feel free to contact us! We enjoy knowing that people in far off places are reaching our site ! Leave me a comment in the box below. / Deixar um comentário! 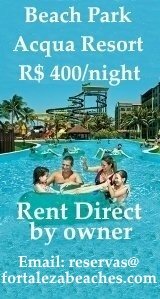 Products or services provided by third parties is not warranted by fortalezabeaches.com unless otherwise stated. This website does not represent or warrant the accuracy or reliability of third party information, and will not be liable for any errors, omissions, delays, losses, injuries, or damages resulting from third party transactions. Our website provides a service for informational purposes only and is, provided subject to the terms of our Disclaimer. Copyright © 2011 Fortaleza Beaches.com. All rights reserved.